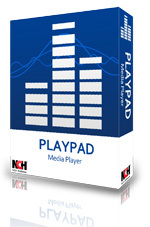 PlayPad is a high quality and free audio and video player. It is a mkv, flv, mp4 and avi player. It is a Mp3, flac, amr and mpc player. DVD and CD player for Windows computers. The simple, yet robust software will have you enjoying your first playlist within minutes of downloading. 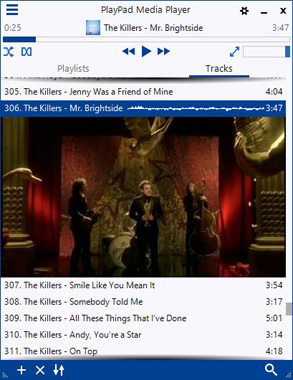 PlayPad Media Player is a completely free music and movie player. We hope you enjoy it so much, you will try some of our other Video and Audio Software. Take your remixed tracks to Zulu DJ software to mix it up at your next party. Perfect for more advanced audio editing of single audio tracks. Create professional quality videos in minutes. Making a movie has never been easier.